It wasn’t a great weekend for Man Utd, as they slipped to a 1-0 defeat at Chelsea while rivals Man City widened the gap at the top of the table. While the main talking point was the performance from Jose Mourinho’s side as they failed to impress away from home against a direct rival yet again, Jesse Lingard also earned himself some unwanted attention for this sequence of play. 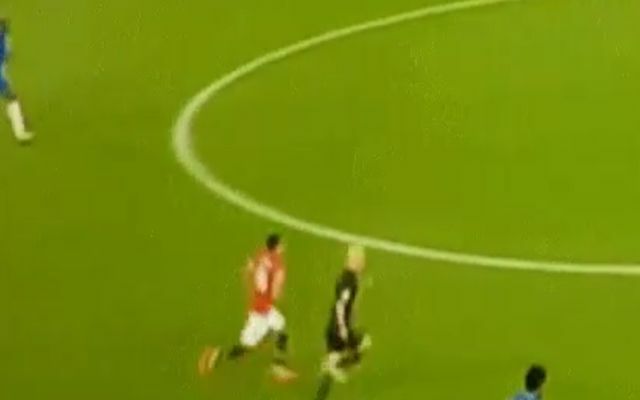 As Chelsea launched a counter-attack at Stamford Bridge, Lingard and referee Anthony Taylor rushed back to get closer to the action. What we weren’t expecting though was for the 39-year-old official to be quicker than the England international, who is 15 years his junior. For Lingard’s sake, we hope that this was just laziness as opposed to genuinely being outpaced by the referee at full pelt, but that hasn’t prevented him from getting a bashing on social media, as seen in the tweets below. It remains to be seen how Mourinho gets his team back on track after the international break, as ultimately given City’s form, they can’t afford any more setbacks if they have genuine ambitions of winning the Premier League title this season.